While opinions on the so-called “millennials” generation may very, their impact on Phuket conference venues and the conference industry as a whole is undeniable. Regardless of what you think of those born since 1985, they are the largest generation since the Baby Boomers and they are are now a major part of the workforce, so catering to their specific needs is a must. As the composition of the workforce evolves, so to do their expectations of how a conference event should work and what they should get out of it. In order to stay relevant, venues and event planners have to evolve to keep up. Here are some of the more significant ways in which the new generation is influencing the conference scene. One of the most important changes in the schooling of millennials has been a shift in focus from learning by rote to learning by doing. This has led to them being better able to absorb new knowledge through practical application of it than through simply being told about it. 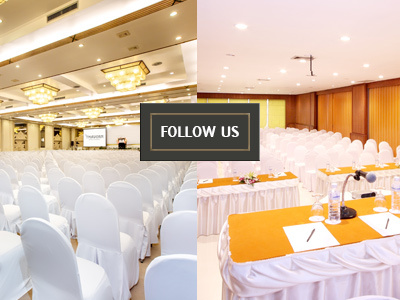 This means a demand for shorter presentations and for the Phuket conference venue to provide space and facilities for activity-based workshops, allowing for more interaction and creativity between conference participants. The traditional approach to networking has long been to simply provide drinks, nibbles, music and time. The assumption was that people would mingle and talk to new people and make new contacts naturally. However, millennials find this approach anything but natural. Instead, a more effective approach is to arrange Special Interest Groups (SIGs), attracting those interested in a niche topic to discuss it with others of a similar interest. While this does mean that new contacts made are more likely to be directly applicable and useful to each participant, it also takes a lot more organising. The overwhelming assumption among the MICE industry is that events will make use of the latest technology, especially social media-related technology. This naturally means that the Phuket conference venue must be able to guarantee constant internet access and enough bandwidth for hundreds of simultaneous users to get good upload and download speeds. If the internet connection fails, there is potential for the whole event to go with it as registration and participation are increasingly reliant on social media. Phuket meeting hotels are ahead of the game, in this regard, as their WiFi facilities must already be strong and reliable enough to support the online needs of hundreds of guests. Why Choose Phuket as your MICE Destination?